This book, along with its predecessor, makes most of Wicksell's most important contributions accessible to English speaking readers for the first time. The essays collected here, first published in 1999, focus on money and price theory and include Wicksell's book reviews of Leon Walrus, Ludwig von Mises and John Bates Clark. Although most of his major books have now been translated into English, relatively few of his essays have. 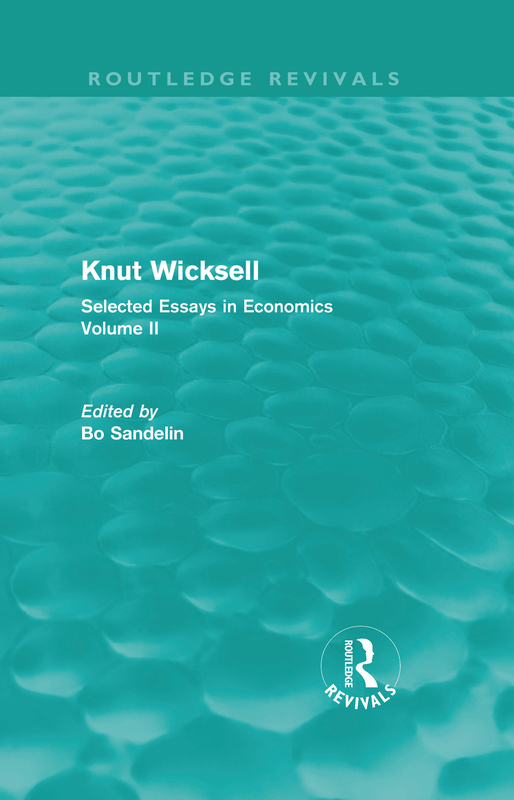 These two volumes, first published in 1997 and 1999, made many of Wicksell's most important contributions accessible to the English speaking reader for the first time and this reissue will be welcomed by economists at all levels. * Wicksell's book reviews, including reviews of Leon Walras, Ludwig von Mises and John Bates Clark.